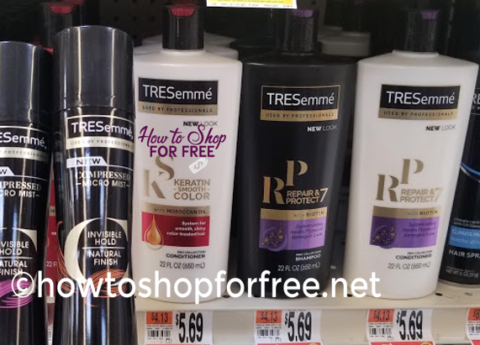 Select Tresemme hair care will be on sale 2 for $9 starting 4/19. Use a manufacture coupon and pay just $2.50 each for 2 bottles of shampoo! Pay: $5 or $2.50 each!